The incubator kitchen’s purpose is to be an inclusive space for food start-ups and entrepreneurs who are seeking resources, support, and technical assistance. Building upon Grand Rapids’ growing local food movement, the Downtown Market Incubator kitchen offers affordable kitchen rates and practical business tools give budding entrepreneurs a leg up in starting food businesses. The Incubator Kitchen strives to foster entrepreneurship, good food, and community. Our Incubator Kitchen provides a supportive, efficient, flexible environment for you to develop and produce your product or service. Our licensed commercial kitchen spaces are open 24/7 and are fully outfitted with professional-grade equipment ready for food production, packaging, prepping, catering, and more. 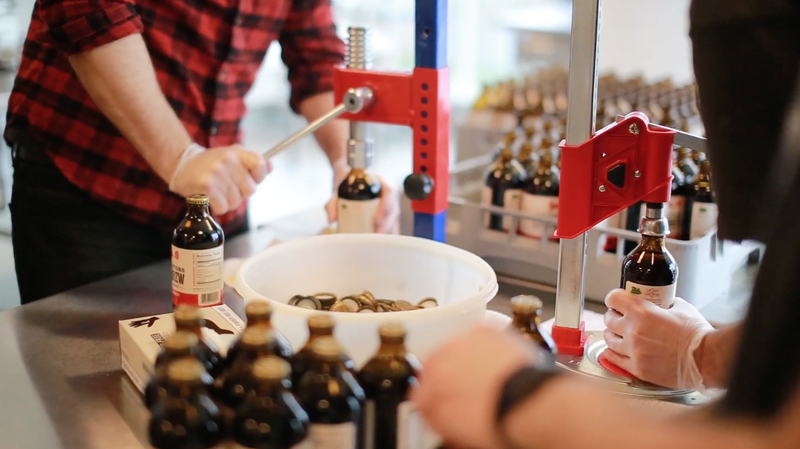 Clink HERE to watch one of our Incubator Tenants, Prospectors Cold Brew Coffee, using the facilities to brew, bottle, and label their product.